Teena Raffa-Mulligan is a Western Australian author who has figured out some unusual remedies for wrinkles, the fuel to launch an Aussie grandpa into outer space, and a trick to help young elephants remember not to go with strangers. She is the author of five children’s books and many of her short stories and poems for children and adults have appeared in magazines and anthologies. When her first picture book – a stranger danger story called You Don’t Know Me? A Cautionary Tale for Children – was released in 1981, it was endorsed by the State education and police departments and used widely in schools around the country. A 21st century version of the story is now available. Teena has also enjoyed a long and interesting career in journalism during which she has written for and edited a diverse range of magazines and newspapers. She is now working on an adult novel. Teena shares her enthusiasm for writing by presenting talks, workshops and creative writing sessions at schools, libraries and community centres. 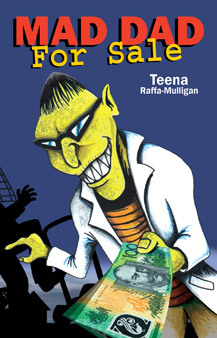 This 21st century version of a popular cautionary tale is now available to a new generation of children. 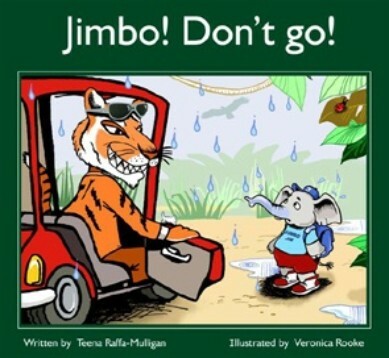 One rainy day, Jumbo Jim is on his way home from school alone when a tiger stops and offers him a lift. Tim promises to get him home and dry quicker than a snake can blink an eye – but Jimbo says no. Mum has told him never to go with strangers. That's when Tiger Tim says he is a family friend – and he has chocolate, too. Will Jimbo remember his mother's stranger danger warnings – or go with Tim? Entertaining illustrations by Veronica Rooke give the revised text an extra dimension for young readers. Luke McAlister has had enough. He’s always in trouble. But what can a kid do about a dad who’s always getting mad? Luke is running out of ideas until his best friend Alex suggests a For Sale ad in the local paper. The crazy plan works, a mysterious buyer whisks cranky Dad away in a van and Luke is $500 richer. He thinks his troubles are over. Instead, they’ve just begun. When Luke decides to get his dad back he must outwit a terrible foe to save himself, his family and his friends.